Is It Time to Reconsider What Your Parents Have for Dinner? A healthy diet is recommended for many reasons. It’s the best way to lose weight, keep blood pressure and cholesterol levels in the normal range, and even is believed to help prevent Alzheimer’s. If your parents don’t like to cook for themselves, a healthy diet may be hard to maintain. Some seniors do not eat enough when it comes to fresh fruits and vegetables. Your parent’s dinner plate should have fruits and vegetables on half the plate, a lean protein on one quarter, and a whole grain option on the remaining quarter. Vegetables are important as they’re great sources of antioxidants. Cruciforms like Brussels sprouts and broccoli are a good choice for their cancer-prevention qualities. See if your parents would consider swapping out two or three meals a week for vegetarian meals to limit the amount of meat they eat. If your mom or dad can’t chop vegetables, invest in a food processor. It can make it easy to prep ingredients when arthritis makes it hard to hold a knife. Or, hire a home care professional for meal preparation. Calcium is a good way to prevent osteoporosis. Fat-free or low-fat dairy options are ideal. Plain low-fat yogurt is a good choice if your mom or dad hates drinking milk. You can add it to fruit smoothies each morning to mask the taste if that’s an issue. If your parents cannot digest or stomach dairy items, look for cereals and fruit juices that are fortified with vitamin D and calcium. Orange juice is one option that often comes in a calcium-added version. Saturated fat, sodium, and sugar are to be avoided. All three can increase the risk of health issues like high blood pressure, heart disease, and diabetes. While frozen meals and canned soups are easy, they’re often loaded with all three. Cooking meals from scratch is ideal. Your parents need to get used to reading labels. They may need magnifiers when shopping for items. Many pasta sauces add sugar or corn syrup to the tomatoes to add sweetness. Sugar is often found in canned soups, packaged bread, deli meats, fruit juices, and yogurts. If your parents don’t like to cook, they can avoid takeout and packaged meals. Call a home care agency and ask about caregivers. Caregivers provide companionship, but they’ll also cook meals, shop for food and much more. If you or an aging loved-one are considering hiring Senior Care in Meza, AZ, please contact the caring staff at Endeavor Home Care today. Call (480) 535-6800.
https://www.endeavorhomecare.com/wp-content/uploads/2018/11/bigstock-Healthy-Fresh-Salad-Ingredient-60097289.jpg 600 900 admin https://www.endeavorhomecare.com/wp-content/uploads/2019/02/logo-website-endeavor.png admin2018-11-06 14:09:542019-01-07 19:54:02Is It Time to Reconsider What Your Parents Have for Dinner? Shopping is a necessity. While stores are shifting to online shopping to make things easier, seniors may not be as willing to embrace it. They want to see and touch the items they buy. Here are four trends that seniors find frustrating when shopping. Younger generations are used to paying with a debit or credit card. Personal checks are not common. For seniors, personal checks were the common method of payment prior to electronic banking. Many seniors understand personal checks best and want to use them. Some stores have shifted away from accepting checks at all. Others may accept them, but they’re processed in a new way. The check is scanned, and money is pulled from the account instantly. At this point, the check is voided and handed back to the shopper. Seniors can have a hard time understanding why the check is being handed to them. Cash can be easier for a senior to use. Otherwise, they may need someone to accompany them until they get used to paying using a credit or debit card. So many stores require you to carry a rewards card in order to get the sales price. It’s frustrating digging through a purse or wallet to find the card. Other stores want you to give your phone number to look up the account. Elderly shoppers may not want to recite their phone number out loud in public setting. It’s best to consider if the savings are really worth the invasion of privacy. If a senior citizen decides it is, a separate key ring filled with the different savings card makes them easier to access. Some stores are removing a section of registers in order to put in self-checkouts. Instead of having a cashier, the shopper scans items and pays through the computerized terminal. If an elderly person relies on shopping trips for socialization, self-checkouts take away that aspect. Many stores place cheaper items on top or bottom shelves. They want you to spend more, so the cheaper items go in harder-to-reach areas. For a senior who cannot easily bend or stretch, this placement strategy is frustrating. It requires seniors to ask another shopper to help or to find a store employee. To avoid any difficulty, seniors should shop with a family member or caregiver. If you or an aging loved-one are considering hiring Home Care in Meza, AZ, please contact the caring staff at Endeavor Home Care today. Call (480) 535-6800. As your mom gets older, her medical needs may change. At one point, her visits to the doctor would have been geared toward OB/GYN care and yearly medical exams. Now, she needs to have her bone density checked. She might need memory care visits or help with proper nutrition as she ages. She could be moving to be closer to you and needs a doctor nearby. If your mom has outgrown her doctor or needs one in a new location, she’s not alone. Moving her to another doctor who specializes in elder care is a big change, but it can be a beneficial change. If you need to make a change, here are some ways to make the transition go smoothly. Look online for reviews. You can get a feel for a doctor’s personality and skill. Remember that people may emphasize the bad. See if there are follow-up reviews to get a full picture. Look for patterns. If you find a doctor has dozens of reviews saying there are billing errors, it’s likely that’s true. 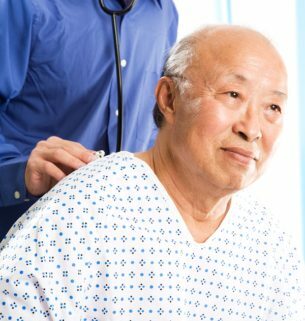 If there are dozens of reviews calling the doctor friendly and approachable and one that says the doctor is standoffish, it’s more likely that the friendly and approachable aspect is true. Read reviews in several spots. Google, Yelp, Facebook, and Healthgrades are all places to start. Look specifically for verified reviews that prove the reviewer really did see that doctor. If your mom likes her doctor, ask that doctor for a referral. The doctor may not specialize in geriatric care but knows someone who. Ask friends and family members for suggestions, too. When you have suggestions, start reading reviews. There’s a doctor in the right area who gets great reviews. You look at the office hours and the doctor is only at that location until noon. That might not be convenient if you’re the person who drives your mom to appointments and works during the week. Schedule a meeting to meet the new doctor. Your mom can ask questions and make sure she likes the new doctor. If there is a personality clash, it’s better to know before you schedule a full medical exam. With a doctor you and your mom can trust, a caregiver can cover the aspect of socialization when aging at home. Elder care services like companionship and transportation ensure your mom is able to spend time with other seniors and with someone each day at home. 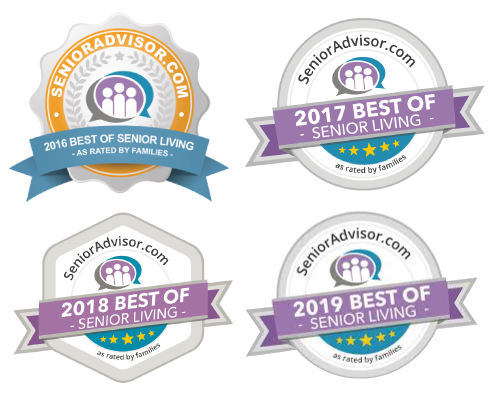 If you or an aging loved-one are considering hiring a Caregiver in Paradise Valley, AZ, please contact the caring staff at Endeavor Home Care today. Call (480) 535-6800. When an elderly relative suffers from tremendous back pain, their doctor often recommends spine surgery. It is most often done for those who have herniated disks or bone spurs on the spine. The good news is that back surgery often relieves the conditions that cause the chronic pain. However, the recovery time for spine surgery can make it a real challenge for elderly adults to live on their own and take care of themselves. Family caregivers can do a lot for their elderly relative during the recovery time, but they can’t always be there all day and all night. To ensure the aging loved one is well-cared for as they heal from spine surgery, many family caregivers hire home care providers to assist. Here are some of the reasons why an elderly adult recovering from spine surgery needs a home care provider around. Pain is a big part of any recovery from surgery, and seniors will need some painkillers along with their regular medication. However, it can be difficult to remember when to take the medications and how much. While a home care provider cannot administer the medication, they can give reminders, read bottle labels and provide water. Staying on top of the pain via prescribed medicine will certainly aid in recovery. One of the biggest dangers post-surgery is if seniors develop blood clots. They need to get up and walk around frequently, turn and shift their weight often and do stretches and exercises as needed to keep their circulation going. Home care providers can encourage movement, support the elderly adult in getting around, and report any problems to family members. With spine surgery, the aging adult won’t be able to bend, twist or even lean over for many weeks. This makes it very hard to bathe, shower, get dressed, use the toilet and more. A home care provider can be there to help, and also suggest adaptive tools that can make things easier, like a shower chair and raised toilet. Even if the elderly person did well on their own before the surgery, they won’t be able to do much in the weeks following. Home care providers can pitch in and give additional support at home, like cooking, cleaning, laundry, pet care, and even grocery shopping. Seniors recovering from spine surgery can’t drive under doctor’s orders, yet they still need to get around. Home care providers can drive the elderly person to their follow-up appointments, to visit with friends or to run an errand or two. It doesn’t matter what type of spine surgery the elderly adult had, recovery can last anywhere from two to six months. During this time, the aging adult really needs to have a helping hand for their needs. If seniors are cared for by a dedicated professional that can help them maximize their recovery time, they’ll be more comfortable, safe, and well. What Are The Signs and Symptoms of Foodborne Infection? Approximately 48 million people throughout the United States experience a foodborne illness or infection each year. Of these, around 128,000 will require hospitalization, and 3,000 will die as a result of their illness or infection. As a family caregiver, it is extremely important to recognize that elderly adults are more vulnerable to foodborne illness and infection, also referred to as food poisoning, than younger adults, and are more likely to experience severe consequences as a result of such illnesses and infections. Being able to detect the potential signs and symptoms of such an infection can allow you to act quickly, get your senior the medical care they need, and help them through healing and recovery. These symptoms can occur within a relatively short period of time of consuming contaminated food, but can also appear days after. While most of the time these illnesses or infections are mild and will resolve themselves, they can quickly become severe. Depending on the virus, bacteria, or pathogen that has led to the illness or infection, the symptoms can occur anywhere between 30 minutes and a month after consumption of the contaminated food. If your parent begins experiencing these symptoms, and you cannot relate them to another illness, think back through what your parent has eaten in the preceding several days. If they have eaten at a restaurant recently, it is important to contact that restaurant after your parent’s diagnosis to inform them for reporting purposes. Getting proper nutrition is one of the most important elements of your senior maintaining health as they age in place. Elderly care can be extremely beneficial when it comes to helping your senior get the nutrition they need on a regular basis. An elderly home care services provider can provide safe and reliable transportation to the grocery store to stock their home with healthy options, provide reminders of dietary restrictions and instructions from their doctor, assist with meal and snack preparation, and encourage your senior to get enough hydration on a regular basis. This can not only help your parent to maintain better health, but also to support mental and emotional well-being, and quality of life. If you or an aging loved-one are considering Homecare in Scottsdale, AZ, please contact the caring staff at Endeavor Home Care today. Call (480) 535-6800.
https://www.endeavorhomecare.com/wp-content/uploads/2018/09/bigstock-Morning-breakfast-with-mini-do-87316214.jpg 600 900 admin https://www.endeavorhomecare.com/wp-content/uploads/2019/02/logo-website-endeavor.png admin2018-09-19 15:52:112018-11-19 22:57:57What Are The Signs and Symptoms of Foodborne Infection? Returning to your daily routine after becoming injured can be quite a struggle, especially if you are among the 10% of the population who have acquired major injuries as a result of an automobile accident. It is important to give yourself adequate time to heal while getting the proper amount of rest. Pain should be used as a signal that your body is being overworked, so if something feels uncomfortable, refrain from said task until you are feeling more able. Always be sure to take the proper time to relax so that your body can heal at its own pace. Approximately 10% of those who are in car accidents have what are considered major injuries. Do not push your body to complete tasks that you find uncomfortable following your injury. A BankRate survey conducted in 2017 has revealed the best and worst places to retire in. The best states to retire list areas such as Idaho, Utah, and even New Hampshire. The worst ones include states like New York and Arkansas. It was reported that over 47% of employees claimed that they would consider moving once they retire, especially if that means living in a state that is much more accommodating to retirees so that they can live more comfortably. New Hampshire, Idaho, and Utah are three of the best states to live in when you are retiring. Approximately 47% of US residents claim that they would be willing to move in order to retire in an accommodating state. Two of the worst place to retire are in the states of New York and Arkansas. Finding a way to accommodate your future family vacation can be quite a daunting task, even though it is supposed to be a relaxing getaway. Some find it helpful to hire a trip adviser so that you can receive suggestions and reservations to places that accurately fit your family’s needs and interests. This comes in handy quite a bit if you are trying to find activities that are conforming to both older and younger demographics. It is important to offer activities for all family members, and to allow individuals to opt out if they choose to do so. Since vacation sites tend to be crowded and overpriced during school holidays, go ahead and pull the kids out of school when you go on vacation. Find a way to budget and pay for the trip that works for your particular family. If you’re retired then you know that money gets tighter, especially for items that medicare doesn’t cover. Even if you have an insurance plan it’s unlikely it covers a power scooter. And, if you have a serious mobility lack, perhaps brought about by a stroke, then a power chair could be a life-affirming necessity for you, allowing you to stay active and involved with your life and loved ones. Assuming the, that getting one is paramount in your plans, you can try saving. There are software solutions online that will help you set up a budget. There are flexible payment options afforded by various companies that will allow you to extend the cost of your scooter over a period of time to defray the impact to your budget. If your mobility issues are such that your ability to do the basics of daily living has become impaired, it can be of benefit to contact a home-health agency. Many are covered by medicare. A health assistant can help with things like showers. Don’t forget that there are useful used items available through online sale sites. Look for gently used power scooters and lift chairs. It may also be a good idea to look into financing some home-changes, such as incorporating a wheelchair ramp, or adding bars to the bathroom. Even if your mobility has taken a beating and your financial picture is less than optimal, odds are a variety of options are available to make your situation better. Once you find a motorized wheelchair or scooter you like, your next step will be determining how to pay for it. Your doctor can refer you to a home health care agency Which may be able to assist you with mobility issues in your home. For lower incomes, there may be financial assistance available to make your home more accessible by installing a wheelchair ramp or widening doors.